Kale is considered a super food for good reason. 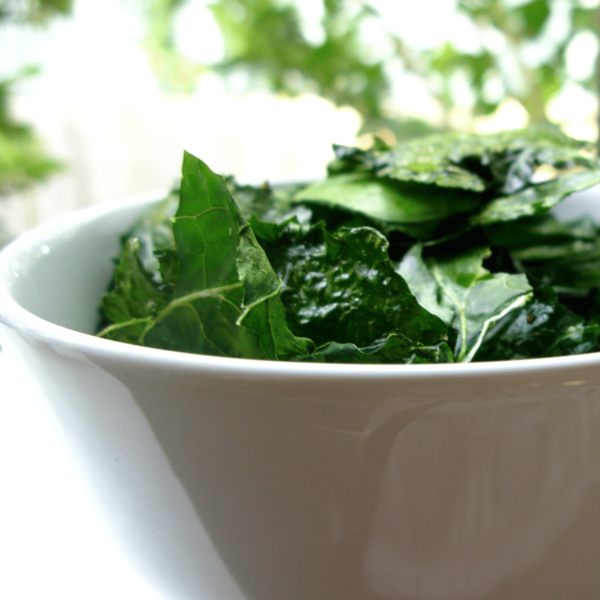 This leafy green is a force to be reckoned with, and great for your entire body. We love it because it's nutrient dense and full of vitamins that beautify the skin (including vitamins C and A). Personally though, it took me a long time to find a way to make kale work. If you've ever tried cooking it on a stove top, you might've asked yourself the same question: Exactly how long will it take before this amazing ingredient tastes, well, amazing? Want a super easy way to prepare kale that's even more delicious than cooking it? Here's the secret: Don't cook kale, massage it. This preparation is great for the culinary-challenged or anyone short on time. It's also totally raw, vegan, paleo, and gluten-free, which is really hard to beat. Directions: First remove stems from center of kale leaves and shred them by hand into large pieces. Add these leaves to a bowl with your olive oil, salt, and lemon juice (Feel free to adjust these measurements to your taste). Finally massage this mixture with hands until your kale becomes bruised and tender. This salad keeps really well (even if you make it overnight) because the softer your kale gets, the better it is. You can toss it into a mason jar and keep it in the office fridge easily. Sliced grapes, feta cheese, or a bit of parmesan can also help take this easy creation to the next level. Have you ever massaged kale? Please let us know in the comments below! We love Kale at our house! Kale salad and kale chips are our favorite; in fact we have the neighborhoods kids coming in for a snack when they smell it baking 🙂 For the salad, massaging the kale helps make the kale soft, and gives a different smooth taste for your palate. Using a little bit of olive oil and gently squishing the kale with your fingers, helps break down the leaves, and makes them soft and inviting. Kale can be hard sometimes, and while it is an excellent gut scrubber sometimes we want something gentler that can mix in with other veggies and salads for a more uniform experience. One of our favorite blends is massaged curly or lacinato kale with pine nuts, blue cheese and dried cranberries and organic apple cider vinegar. We LOVE Kale any which way but our favorite way is Kale Salad (& every day in our smoothies!). We add avocado & sometimes a bit of thinly sliced purple onion. We also like raw Tahini & garlic in the dressing.